Let’s ask ourselves this one question, “Do I make choices in my life based on my fears and worries, or do I make choices out of love and inspiration?” This is one of the most important and powerful ways to see our conditioned self. And if we want to unravel the complex mental and emotional web inside of us in order to make healthy and supportive changes in our lives, we must see clearly if our foundation is one of love or fear. So what does it mean to be karma-free? What is karma and why would we want to be free of it? Karma is the law of cause and effect, the wheel of existence, good and bad, life and death. Some say it is the cycle of suffering which is never-ending until we become aware enough to see that we are in it. Life provides many opportunities to grow and evolve out of our conditioned self. 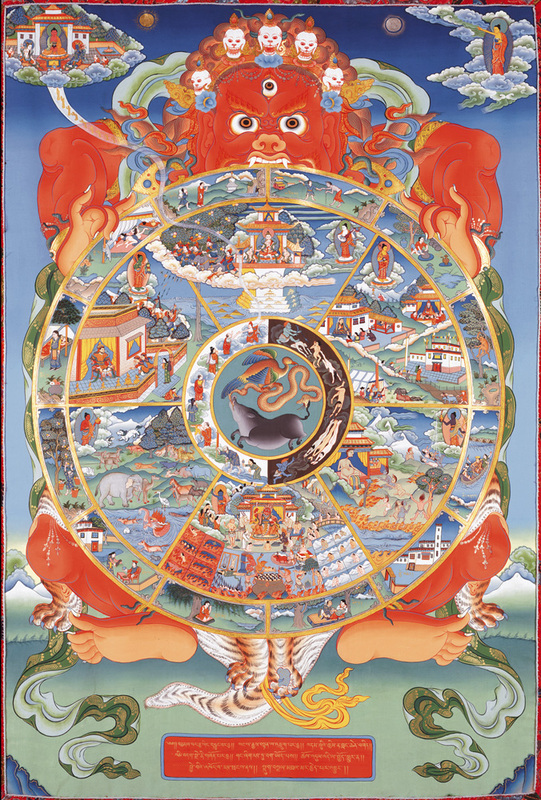 When we learn these lessons and stop making new karma, we free ourselves from this cyclical existence. We free ourselves of problems, our suffering. In this workshop we will look at a very simple teaching showing us that karma is finite, and the simple tool to completing it is an open state and the attitude of ‘yes’. 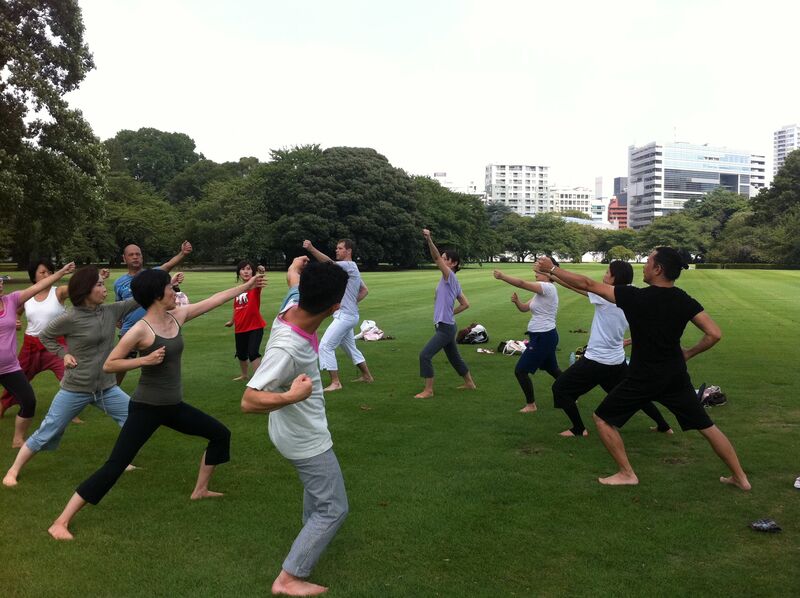 We will learn practical exercises (pranayama and meditation) to prepare the mind and body, developing awareness of our inner condition, feeling the confidence that we can make choices based on love. When we begin this journey, we will see for ourselves the beauty, the magic, the adventure that is life and how it radiates from the magnificent light of our true nature. 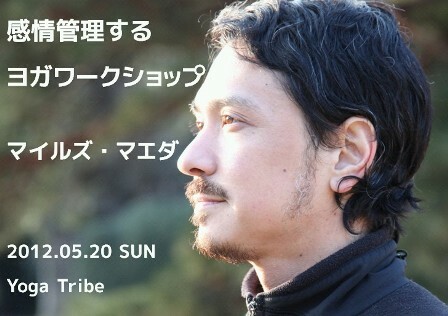 To Register, please visit our website: www.sunandmoon.jp and go to Workshops page, then send contact form with name of workshop, date, and your full name and phone number to register. 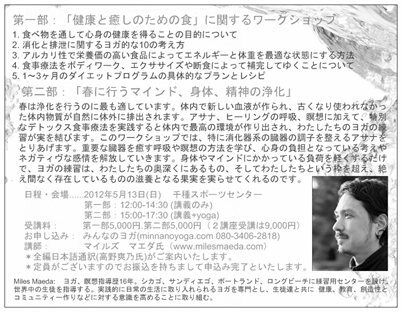 Japanese translation provided by Sawano Takano. 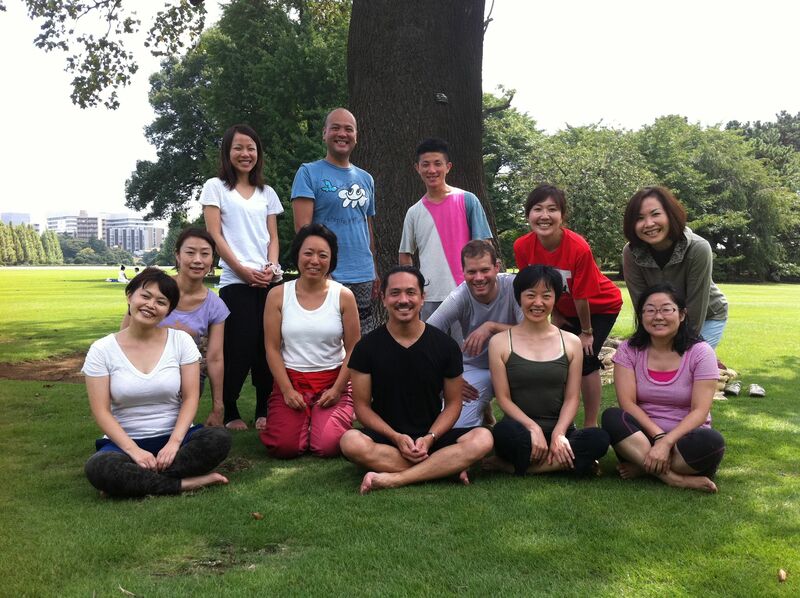 How to Apply：Please send e-mail to book@yogatribe.jp – including your name・TEL・e-mail・WS title. 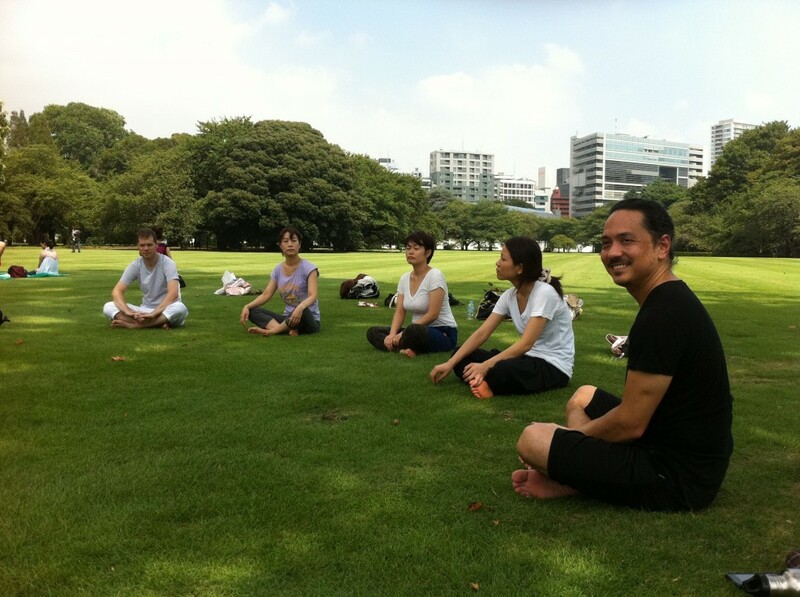 Park yoga season has come again! It’s a great way to start the weekend…! 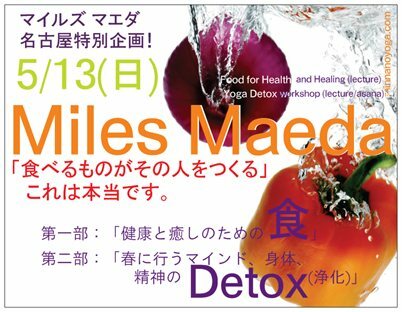 Class will be taught in English (Japanese translation is available if needed).